Amazing Window Graphics for Jeeves Holiday Homes in Orlando! What do you want consumers’ first impression of your business to be? Do you want them to associate you with a messy remodeling project as you prepare to open your storefront? Probably not. 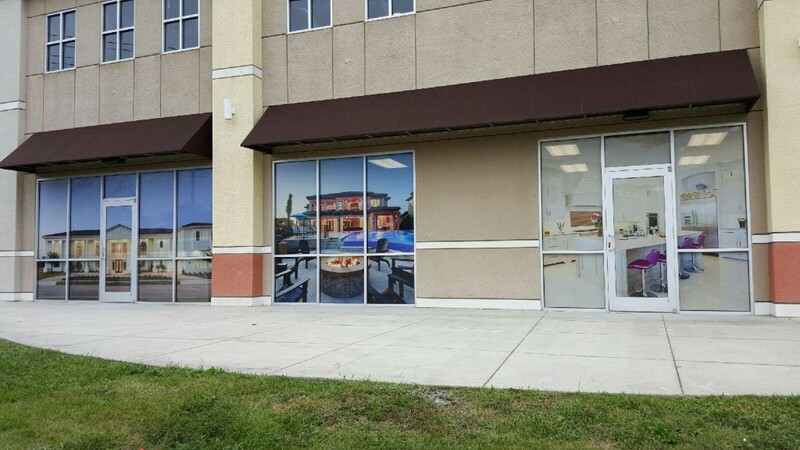 Jeeves Holiday Homes wanted to cover up their construction while they prepared to open their new office so they contacted Citrus Sign Studio for window graphics for property managers in Orlando, FL. Jeeves is a premier property management company in Orlando. For more than a decade they have specialized in providing Central Florida with first-class, high-end vacation properties. They have a unique collection of vacation homes that are located close to Disney World. All of their homes have their own private pool. And, some of the properties also have game rooms, theater rooms, and beautiful views. 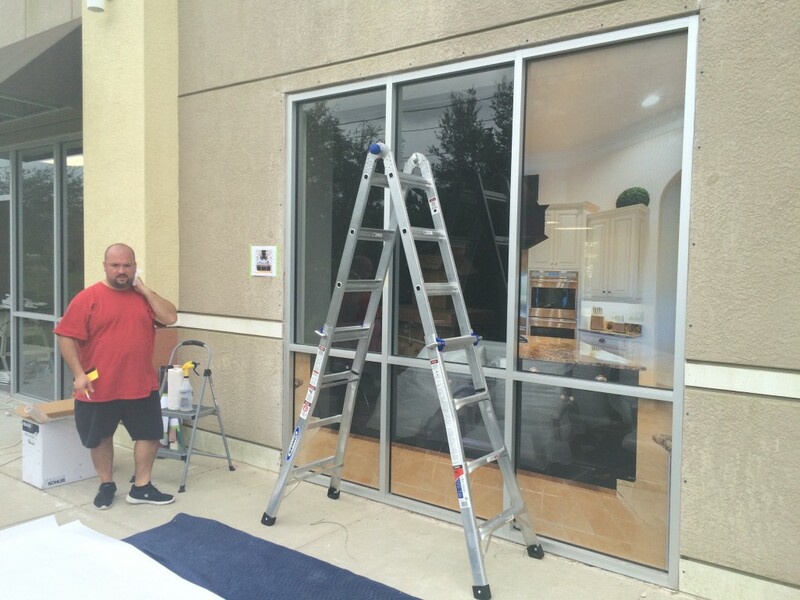 When an organization that provides families and individuals with such great vacation experiences contacted us for full window graphics in Orlando, FL, we hopped in our truck to survey the scene. Jeeves is moving to a brand new office this month, and they wanted us to fabricate and install graphics to cover their windows during construction. Fortunately, they contacted the right sign shop! During an initial consultation, we listened closely to Jeeves’s goals for the project. They wanted to cover up their unsightly construction work as they remodeled their new office to fit their needs. In addition, they wanted to give a sampling of what they had to offer their clients. We worked with them to pick out some photos that captured their branding. Once we had the photos Jeeves wanted, we printed them out on perforated vinyl using our cutting edge large format printer. Perforated vinyl was ideal for this job since it still allows people inside of the storefront to see out, lets natural light in, and obscures the view for passersby on the outside while displaying branding images. We installed the window graphics at a time that worked well for Jeeves. In the end, the client was totally satisfied with the job we did, and they have already commissioned us for other projects. 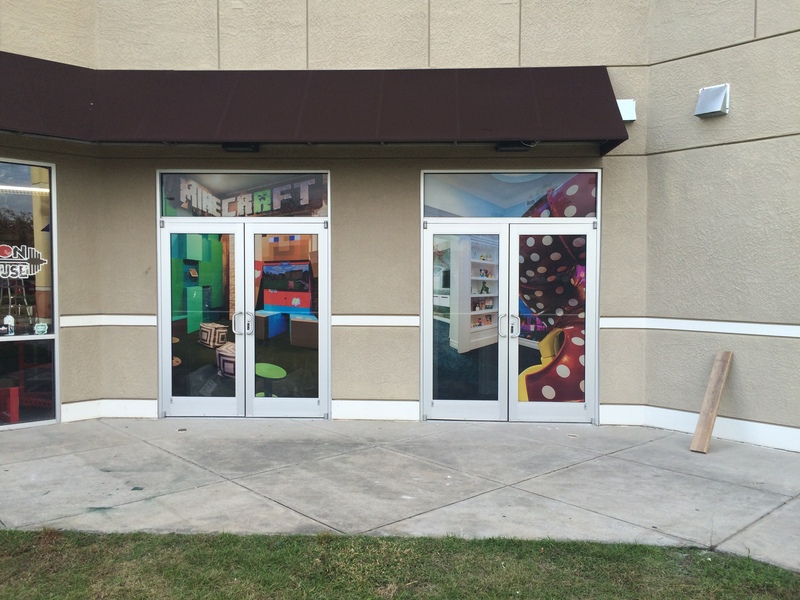 When our graphic designers see large storefront windows, all they see is opportunity. They enjoy having the chance to transform the look of your venue to entice new consumers. 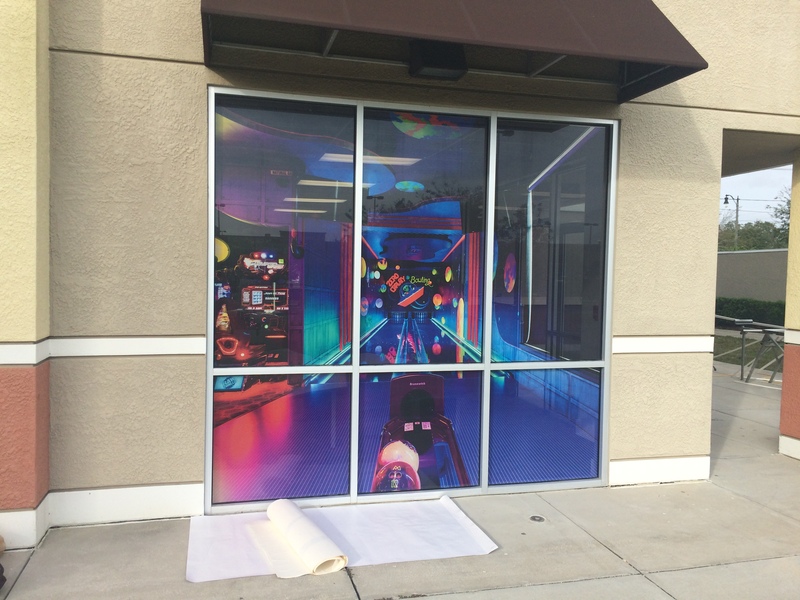 When you choose vinyl graphics to cover your windows during construction, you introduce consumers to your branding and prepare them for your grand opening. You can create a buzz about your business to ensure success once you open your doors. Window graphics are the perfect way to showcase your best-selling products, demonstrate your services, and display your handiwork. You can also take advantage of vinyl window lettering to highlight your hours of operation and contact information. And, window graphics have been used for decades to promote sales and special offers. The possibilities are virtually limitless. If you want to use one of your greatest marketing assets to boost sales, contact Citrus Sign Studio today for a free consultation on window graphics.